Kolby King has been a ventriloquist for more than 30 years and has been sharing in public school for the past two decades. 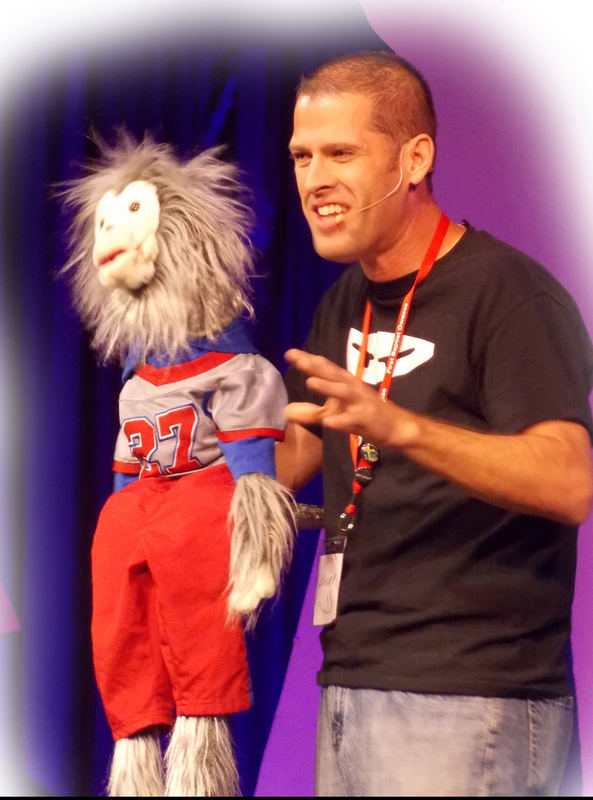 His assemblies mix humor, ventriloquism and illusions with a positive message that lasts approximately 30-35 minutes. Elementary–Kolby and his friends “Jay” and “Dr. Love” teach children about the importance of respecting themselves, others and those in authority. Children learn that they are special and that they can treat others right. This assembly deals with both self-worth and bullying. Jr. High and High School–Kolby and his “friends” approach life-choices and drug-awareness. Students are challenged to resist negative peer pressure and to make choices that will “make” and not “break” their futures. Kolby King oversees three-thirty ministries, a Christian resource company, and has served as a pastor, youth minister and children’s minister. He is fully aware of the laws regarding the separation of church and state and will fully abide by those laws. No mention concerning “God” or “religion” will be made during any public school presentations. These school assemblies are non-religious. Download a letter to share with your school.